Posted: May 9, 2013 Get Some Exercise During Bike to Work Week! 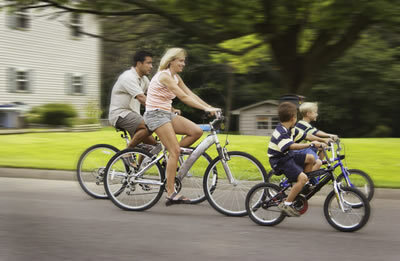 Get Some Exercise During Bike to Work Week! Now that the weather is beautiful and finally feels like Spring, it's a perfect time to dig out your bike and take it for a ride! This next week, May 13-17th is National Bike to Work Week and specifically May 17th is Bike to Work Day! Try to plan ahead for riding to work that Friday or for the week if possible. So get those bikes down from the wall, and get a tune up scheduled so that you're ready to roll in May! If you need a little refresher on area trails use the link below for area trails to plan your route.